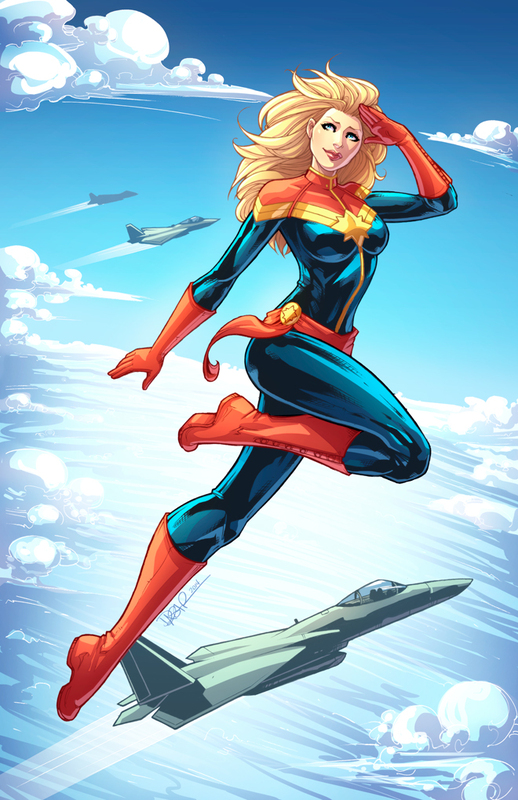 We do know that the script has two talented writers working over it, and together Nicole Perlman (‘Guardians of the Galaxy‘) and Meg LeFauve (‘Inside Out‘) will give us a brilliant look at Air Force pilot Carol Danvers. The history of Carol Danvers, aka Captain Marvel, first arrived in 1968 as an ally to Captain Marvel.She didn’t become the subject of her own comic book story until 1977 when she went under the moniker Ms. Marvel. It wasn’t until 2012 when she officially received the Captain marvel title. With superhuman strength, the ability to fly and energy projection, Captain Marvel has been regarded as quite possibly Marvel’s mightiest Avenger. As with other films in the Marvel Cinematic Universe she will likely make her film debut in another project before her solo film. Marvel Confirms Rumors About Third Phase of Cinematic Universe Dates!!! This entry was posted on Thursday, June 2nd, 2016 at 3:39 pm	and is filed under Comics, Film, News. You can follow any responses to this entry through the RSS 2.0 feed. You can skip to the end and leave a response. Pinging is currently not allowed. « We’ve Got A New Pennywise For The ‘It’ Reboot!!! !